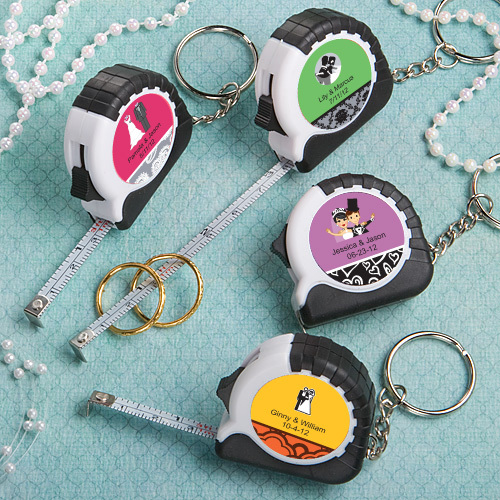 You don’t have to spend a lot of money to get baby shower favors that are adorable and fun. 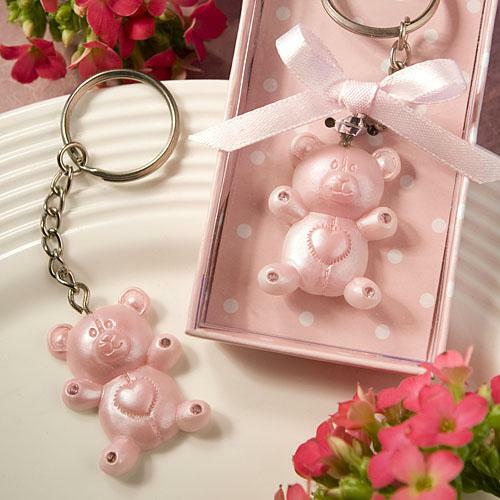 The following baby shower favors are available for less than $1.00 and will be cherished by your guests! 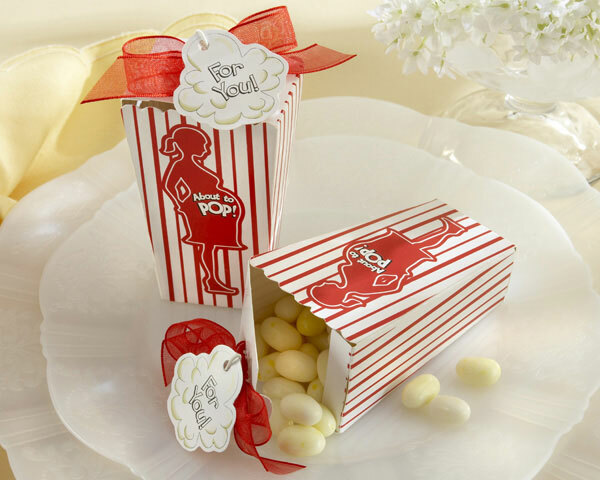 This bright and hilarious popcorn favor box features the words “about to pop” on the outside. It can be filled with fresh popcorn or caramel corn for a tasty and adorable baby shower favor. Another fun and unique idea is to purchase popcorn flavored jelly beans to fill the box with! A sheer red organza bow comes on each one and you can get them for as low as $.64 each! 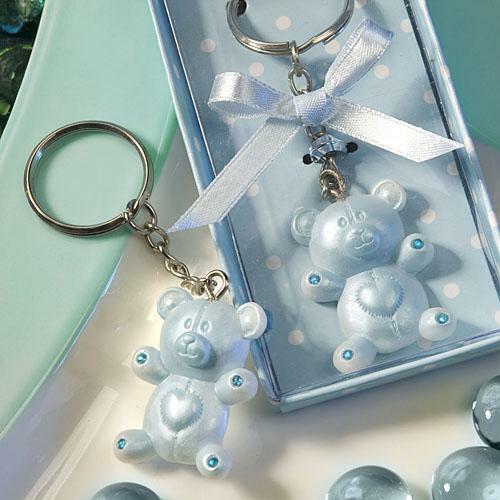 This is a precious baby shower favor, especially if you’re expecting a little boy. These can be personalized with your or your child’s name and the date. They expand up to 100 cm and each one comes in a poly bag with the stickers for you to apply yourself. Fun and useful, these are available for as low as $.80 each. These beautiful teddy bears are very detailed and include rhinestones on the paws. Packaged in a matching individual box, each gift is embellished with a satin bow. These can be a lot of fun for a gender reveal baby shower, and they’re available for as little as $.91 each. It doesn’t take a lot of money to make sure you have something adorable to thank your guests with. These are perfect cheap baby shower favors for your upcoming shower! This entry was posted in Affordable Baby Favors, Personalized Baby Favors and tagged favor box, key chain. Bookmark the permalink.